New Providence, Bahamas – While advances in screening and treatment have dramatically improved survival rates, Breast Cancer remains one of the most common forms of the disease affecting both men and women in The Bahamas and around the world. In fact, according to global statistics, there will be 23.6 million new cases of cancer each year by 2030 – a reality which underscores the need for increased awareness, early screenings and proper treatment to eradicate cancer. Next month, October is celebrated globally as Breast Cancer Awareness Month, and Bahamas Waste is proud to be leading the charge in helping support organizations reminding women to test early. From the use of its famous “Pinktober” Cancer Awareness truck to its support of various Cancer Awareness events, Bahamas Waste continues to demonstrate its commitment to fighting this terrible disease. On October 6th, Bahamas Waste will lend its support to the 7th Annual CIBC FirstCaribbean Walk for the Cure as a bronze level sponsor. 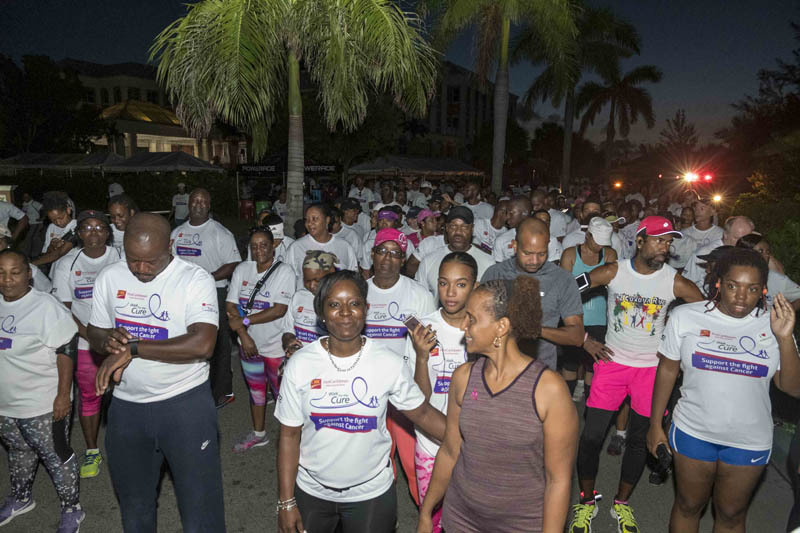 The event will see scores of survivors, supporters, friends and family take to the streets at 6:30 am to walk, jog or run to raise funds for the ongoing fight against cancer. The Nassau event is the first of four to be held around The Bahamas with CIBC FirstCaribbean hosting similar events in Freeport, Abaco and Eleuthera as well. More than $80,000 was raised last year for the eight non-profit organizations throughout Nassau. Proceeds from this year’s walk in Nassau will go toward supporting the Cancer Society of The Bahamas as well as the Sister, Sister Breast Cancer Support Group of New Providence. In addition to having the “Pinktober” truck on site for photo opportunities with event participants, Bahamas Waste will also provide portable toilet facilities to be used along the route and at the starting and finishing lines.